Born and raised on the Adams Shore section of Quincy Bay in Massachusetts, Richard Loud cannot remember a time when his life did not revolve around boats. The son of a master shipwright who built boats for profit and pleasure, Richard was exposed early on to the complexities and beauty of boat design and construction. This early training and passionate love for sailing vessels is evident in his paintings today. His work combines a thorough understanding of a wide variety of vessel types and sea conditions, with a uniquely artistic feeling of light and atmosphere. After working his way through Northeastern University as a draftsman for the Penn Central Railroad, he served as a deckhand on a 114-foot motor yacht and later assisted his father designing and building yachts. Yet all this time he was constantly drawing and painting the vessels around him. His paintings of clipper ships and traditional sailing yachts express a sailor’s deep affection for the crafts, the brisk afternoons, and gentle breezes in a way that everyone who has spent time at sea, or wishes they had, can relate to. Mr. Loud’s dramatic paintings have earned him numerous awards at Mystic International Exhibitions since 1988. He is a Fellow in the American Society of Marine Artists and has painted exclusively for Marine Arts Gallery of Salem, Massachusetts from 1995 to 2010. Currently, Mr. Loud’s work is sold at some of the most prestigious galleries New England. Mr. 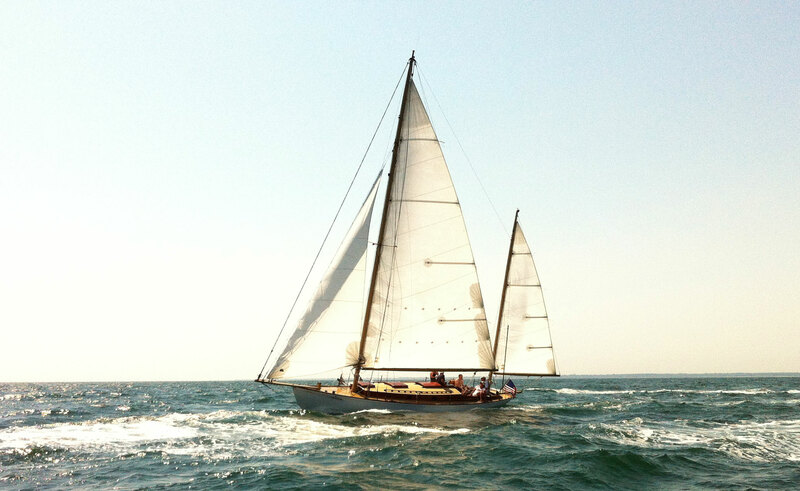 Loud spends his summers sailing on his beloved yacht, the Volya, which is pictured above.